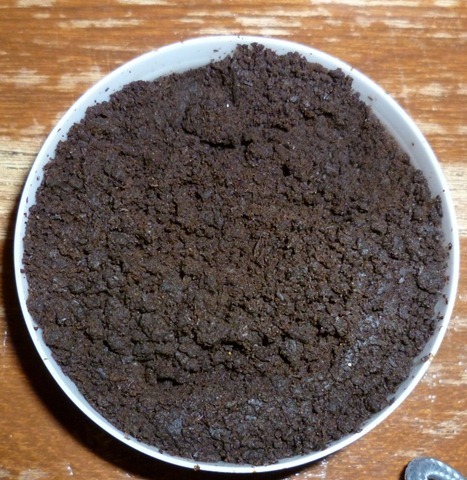 I finally took the plunge and went loose with my snus and although I took my first pris with some trepidation, with my mind’s eye wild and gouged with the image that my mouth was soon to become awash with a mudslide of moist tobacco, blackening it with bits of Skruf Xtr Stark Lös while I gagged with disgust, but my first attempt went without incident. I was surprised that while touching up my pris from the Prismaster by hand and as crumbly as it was, it actually held quite firmly under my lip once I shoved it up there. It may not look like something fit to put in ones mouth it does taste better than it looks. However, after having it shoved up under my lip I was a little disappointed in the Skruf because for my tastes it lacked the impact that its portioned sister possessed. I was expecting a bigger flavour hit and a nicotine boost to match but it gave neither. In my virgin lös mouth it released little flavour and I couldn’t help wondering why loose seemed to get such favourable reviews when it was so much more subtler in all departments compared to portioned snus. 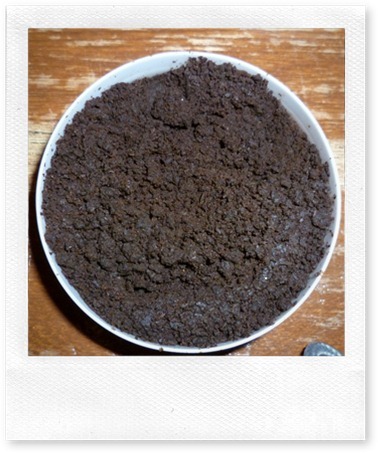 Perhaps the subtly is what snus connoisseurs prefer while I generally like strong stimulus. The only thing that really stood out was how comfortable it felt under my lip compared to the sometimes rather abrasive pouches of some snus. But I was loose snus novice so my first impressions were untrustworthy. Although I do believe the Skruf Xtra Stark portions provide better flavour and perhaps a bigger nic hit, the king of nicotine delivery in my mind still resides with Oden’s Extra Stark Kanel, the ultimate in nicotine addiction and pleasure, sure to get the heart beating in a high pitched whir of high octane stimulation! So in my 3 can loose mix that I threw in with my last order from Buysnus, to fill up the shipping bag so I could take full advantage of the shipping cost, Buysnus also placed a can of Ettan loose and who could resist the temptation of baking a pris of Ettan to sample. Still I found it to be lacking compared to portions but it was miles ahead from the Skruf. The strange thing about Ettan is that although it has a standard nicotine strength of 8mg/gram it surely satisfies the nicotine itch. It releases nic better than most snus and it tastes great as well. 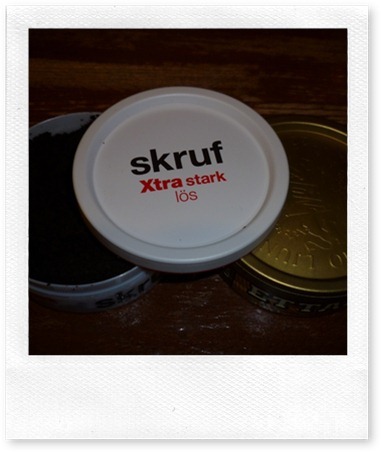 One of my favourite snus and being on the market since 1822, I think it’s safe to say that I’m not the only one that has a taste for this great bit of snussing history. 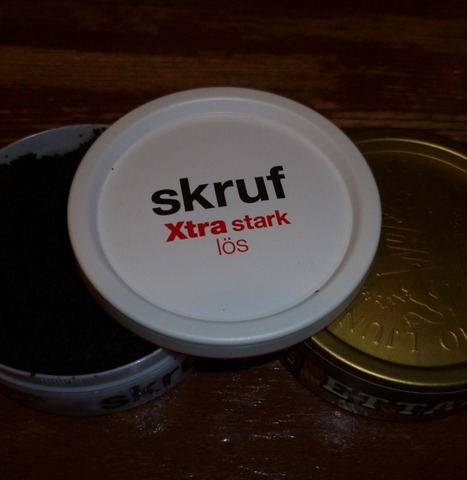 After sampling more from both the Skruf and Ettan loose I have developed a liking for the subtle and delicate flavour and comfort that loose snus provides and went ahead and ordered a roll of Ettan Loose to indulge my senses with. I’m still learning the art of baking a pris but from now on in, I will always have a can of loose handy to indulge my not so guilty pleasure of Swedish Snus.